"Take my bullets and move on, do not allow them to take over our land, am dying but must continue fighting from over there, Go! 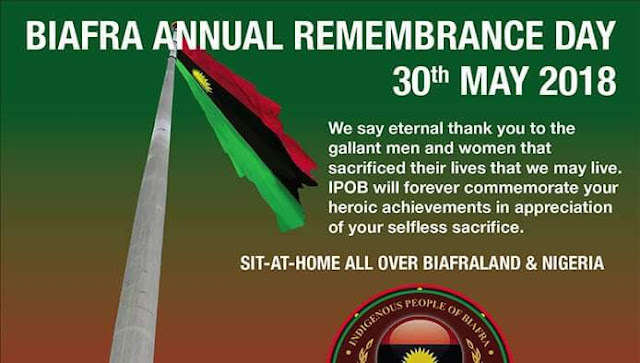 Fight on until Biafra is free" this were the exact words of most Biafrans gunned down during the bloody genocidal war. These men were so determined that the fact that they were dying didn't send fear down their spines, they were more interested in Biafra freedom even at the point of death. History has it that Biafran soldiers would line up behind one man with gun and the next person behind him will pick the gun when he eventually fell to the enemies fire. How did Corporal Nwafor able to capture the Nigerian armored tank that had been killing and causing troubles for the Biafran soldiers, he ran with a grenade in his hand amidst several bullets rained on him by the invading Nigerian army, his hopes were alive until he had detonated the grenade and killed the handlers of the armoured tank. Have you ever thought what will make a typical Igbo-Biafran man to commit suicide? They faced the Nigerian troops aided by the British government with little or no weapons on their side and defeated them in all round. Hear it today, our heroes were not defeated in battle, they were simply weakened by blockade and starvation. 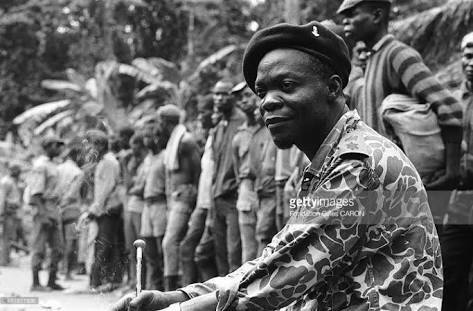 Biafran soldiers were the best and most determined soldiers in the whole world. little wonder a French journalist said "before I came to Biafra, I heard that Biafran soldiers fight like warriors but when I came to Biafra, I discover that warriors fights like Biafrans". My uncle would always tell us the story of how he was with just a dagger and dismantled a well equipped Nigerian British trained sniper who was positioned along the Abagana road, this British mercenary was said to have killed many Biafran soldiers that passed through that route not until he - my uncle summoned courage and fought this known enemy. This British sniper had made that area a dead zone not until he - my uncle took it upon himself even if it means death and confronted this British mercenary thereby cause the incursion that forced the invading Nigerian troops to retreat from that place. That was the spirit of Biafran freedom fighters. From his own war account these Biafran rugged souls laid down their lives that we may live as men of valor. These rugged souls that accepted death to protect our future starting from 1967 till date needs to be remembered daily in our consciousness as humans with human milk flowing in us. Biafrans must always consider it most appropriate thing to do, by keeping a date with those that died for our sake, for humanity sake; a day to mourn in sober reflection of all those that fought to protect humanity course; to the memories of Biafra fallen heroes and heroines we must remember and honor them heartedly.